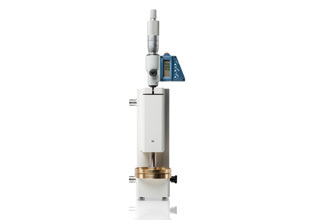 The 12962A sample holder is designed to allow accurate impedance tests of solid materials to be performed at room temperature. The sample holder consists of two parallel electrodes, one of which is fixed in position and the other which can be moved into contact with the sample by adjustment of a micrometer. The sample holder makes use of guard ring and reference techniques in order to improve accuracy by reducing “fringing” effects at the edge of the sample. The standard electrode provided is 20mm diameter. This auxiliary electrode kit for the 12962A sample holder allows measurements of different sizes of materials. 10, 30 and 40 mm electrodes are supplied in this kit. The liquid sample holder also makes use of guard ring techniques and is shaped as a container in order to be able to measure small samples of liquid or powders. The sample holder is easily dissembled for cleaning. The 12962A, 12963A and 12964A sample holders make use of a guard ring on the fixed electrode in order to reduce the effect of stray field lines at the edge of the sample which would otherwise lead to measurement errors. The guard ring ensures that the electric field lines are parallel throughout the part of the sample which contributes to the impedance measurement. In order to obtain best accuracy from any sample holder, it is advisable to make use of normalization measurement techniques. The sample holder allows normalized measurements to be performed with ease. Typically measurements are taken with the sample material in the cell and then repeated without the sample (using an airgap). The air-gap can easily be set up using the micrometer. The empty cell measurements can then be used to normalize the sample results to further reduce errors due to fringing, connections and instrumentation. This sample holder is designed for room temperature measurements only, other sample holders and systems are available for high and low temperature measurements in cryostats and furnaces.